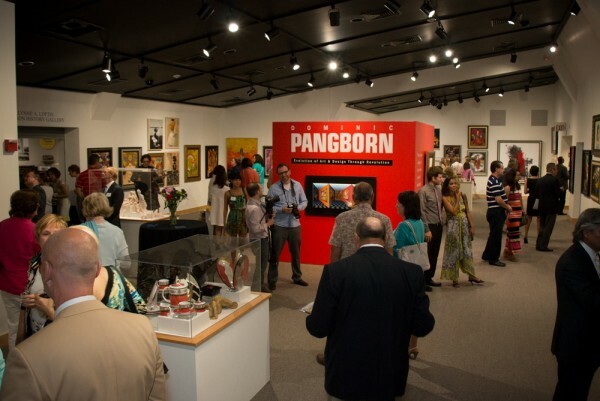 Thursday night’s private opening celebration for Dominic Pangborn’s exhibit at the Ella Sharp Museum in Jackson, Michigan, drew people from across the country, including many Park West Gallery VIP collectors. The event, attended by nearly 200 guests, marked the opening of the artist’s three-month-long exhibition of more than 60 works of art, as well as some of his design pieces. “Tonight, we’re here to celebrate one of the greatest assets this town has produced,” said the museum’s director Amy Reimann in her address to guests. Dominic was raised in Jackson beginning at the age of 10. “Dominic’s work is a wonderful testament to creativity, to color and to form,” she said, admitting she finds his energy inspiring. “He makes me want to get back into the studio,” she said. Dominic and the museum’s director Amy Reimann; guests consult the collection’s catalog amid some of the artist’s furniture designs; PW founder and CEO Albert Scaglione and Dominic discuss the exhibit. “When you are born with nothing, you have nothing – that’s when you learn to make things,” Dominic said. “You learn to create things. You learn to do things with what you’ve got or what you can get.” His life in Korea is very important to him for that reason, he said. Dominic thanked his wife, Delia, for her years of encouragement and support, and he spoke about his life and his art career. When asked about his artistic influences, he said his first inspirations came from romantic landscape artist Joseph Turner, and contemporary artists Robert Motherwell and Francis Bacon. “But the person I admire the greatest is really Di Vinci,” he said, adding that no other human being can be considered a Renaissance man. “I loved everything that man was about and his creativity,” he said. Dominic said that’s how he approaches his own work, be it a golf club, teacup, tie or painting. 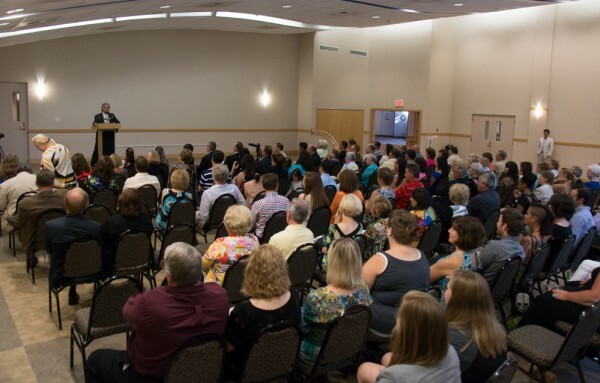 “Park West, from day one, saw me as an evolutionist because they saw that every time I came, I came with new and different work,” he said. “That’s what I love. 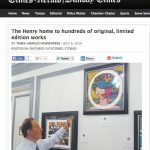 I don’t want to be boxed in with doing one kind of work.” Although his artwork represents a multitude of styles, he said that a look at the larger scope reveals some common and iconic imagery, such as butterflies and others items. 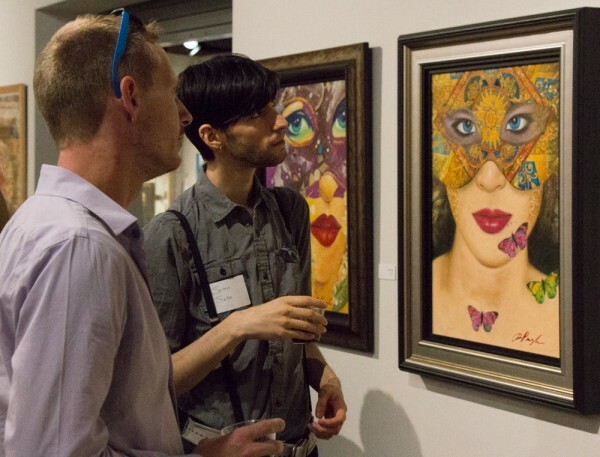 News outlets in Detroit and Jackson have reported on the exhibition, including this article on the Oakland Press’ Visual Arts page. For more information about the museum, including admission, location and exhibit hours, visit ellasharp.org. 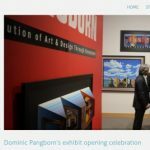 Read more about Dominic Pangborn at his Park West Gallery artist profile page. Dominic Pangborn is an absolutely, positively, fantastic person. His involvement in raising and donating money to charities is to be admired. We have several pieces of his artwork and they put a smile on our faces everyday. He is a man and an artist to be admired! 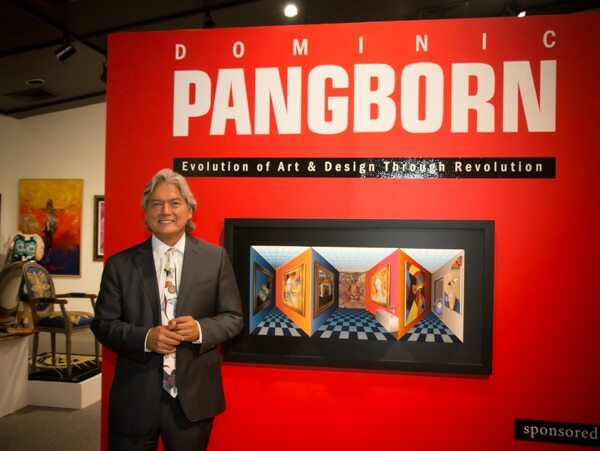 My husband and I are so very sorry we weren’t able to attend the opening of DOMINIC PANGBORN’S art exhibition. We have many pieces of his wonderful inspiring art. Thanks so much for showcasing this wonderful man’s art. Such an amazing exhibit. 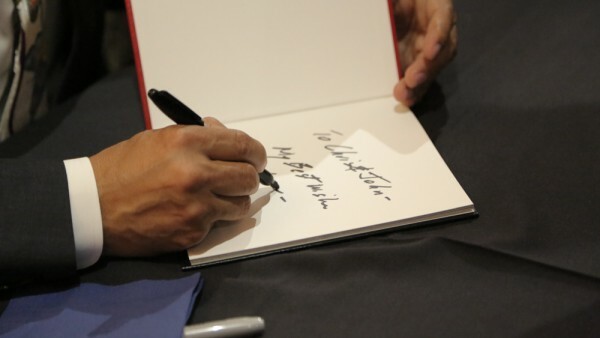 Not only is Dominic a great artist, even more importantly, he is a great human being! What I really love about Dominic is his passion for life and expressing it in a variety of ways. He is a modern day Da Vinci. All the best with his show! 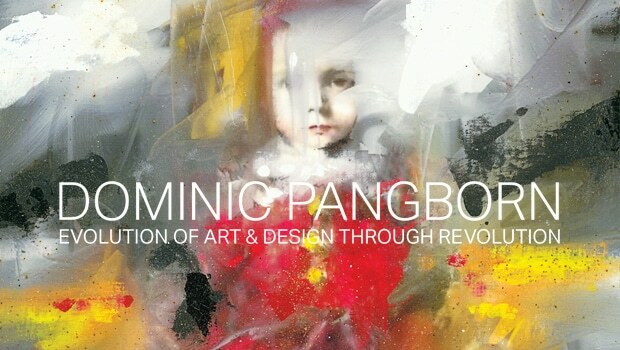 Of all the wonderful Art by Markus, Max, Ilanev, Pangborn,and others that I have bought from Park West, and other artists elsewhere, Pangborn’s “Art in Motion” has gotten the most attention in my extensive collection–everyone is amazed and intrigued how did he develop the concept to do this genre?